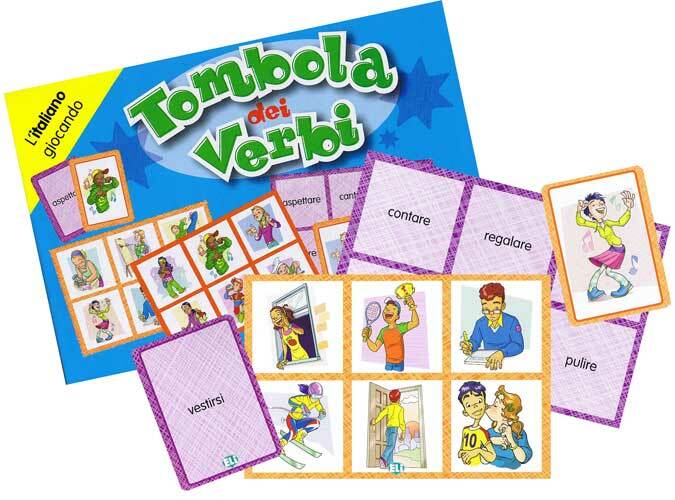 A bingo game for elementary and intermediate levels to teach basic verbs in the Italian language. Please note that the supplied instructions are in Italian - we are able to supply an English translation on request (free of charge - please let us know at the time of placing your order). An excellent game that provides opportunities to create many variations to avoid bordom. My grandchildren, 5, 7 & 8,enjoy playing and are learning new verbs without even knowing! Well worth the money!